How do I Determine Who is At Fault for a Parking Lot Accident? 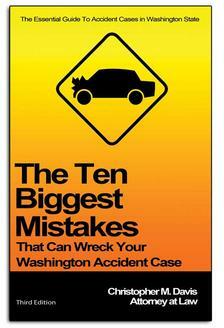 Car accidents occur in parking lots every day in the United States. This sort of collision typically occurs at low speeds and therefore rarely results in significant injuries to the parties involved, making any further legal action unnecessary for the most part. Although a person is less likely to suffer serious injury in a parking lot accident, there are still a number of things about motor vehicle accidents and the legal system that are important for people to understand should they be involved in one of these collisions. The fact of the matter is, parking lots are often busy areas packed with vehicles, pedestrians, bicyclists and other inanimate objects like shopping carts and elevated speed bumps. Successfully navigating a parking lot is much easier said than done, and the combination of distracted people and moving pieces significantly increases the chances of a collision. 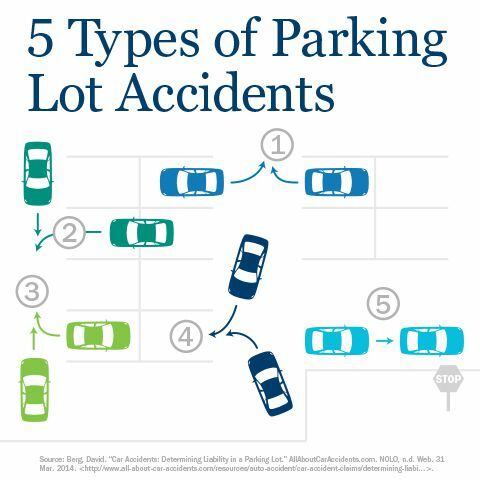 In reality, each and every single one of these factors can contribute to a collision in a parking lot. That’s why it can often be very difficult to place all of the fault (or blame) for a collision on one individual party. A pedestrian may run into oncoming traffic while trying to enter a store, and at the same time a driver could be distracted by arranging grocery bags in the passenger’s seat while pulling out of a parking space. In this scenario – as well as many other similar situations – both parties involved could be potentially held liable for causing the collision. As of January 1, 2000, Washington state law dictates that the threshold for reporting a motor vehicle collision or other property damage accident is $700. The law also says that anyone involved in a collision that results in injury shall report the accident and summon medical attention for all injured parties. Realistically, anyone involved in a parking lot collision that does not result in injury or any significant property damage probably shouldn't expect police to respond to the scene, unless it happens to be a slow day for the police department. The fact that parking lots are technically private property only increases the chances that police officers won’t respond to a parking lot accident. The regular rules of the road don’t apply to private property, which only makes determining liability or fault even more complicated. With police out of the picture, it’s important for you to be your own best advocate; take as many pictures of the scene as possible, including all vehicles and people involved. It is also important to get documented information for all involved parties and witnesses, including driver’s licenses and vehicle license plates, and make sure to seek medical treatment for injured parties if it appears to be necessary. Insurance companies are a business, and they make their profit by doing whatever they can to minimize the amount of money they pay out to claimants. Pursuing a claim for damages with your insurance company without the representation of an attorney may be difficult, and ultimately it will be up to you to determine whether or not the payout is worth the effort. If you’re in a situation where liability is disputed, your only option for resolving this dispute may be to go to court. If you’re looking to recover compensation for property damage of around $500, racking up thousands of dollars in legal fees may not be worth the compensation you’re seeking. The situation becomes much different when the accident results in injury. 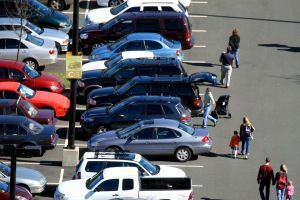 For a person who was injured in a parking lot accident in Washington state, filing a claim is likely going to be in the victim’s best interests. Because Washington is a “no fault” state, a person who purchases Personal Injury Protection (PIP) coverage on their insurance policy can have their medical treatment covered up to the limit of the policy. Unfortunately, the cost-benefit ratio of pursuing a claim for damages resulting from a parking lot accident rarely justifies the representation of an attorney. In many cases, the cost of hiring a lawyer would far outweigh the possible recovery or settlement. It is ultimately up to the victim to determine whether the battle for compensation is actually worth the possible end result. Mischelle Davis is the Director of Operations & Communications at Seattle-based injury firm Davis Law Group, P.S., and the wife of founding attorney Chris Davis. I was recently in a minor parking lot accident and later had the unfortunate experience of dealing with the insurance company's claims adjuster. Hopefully my story will shed some light on the reality of the situation for you. I had just loaded groceries into my car at my neighborhood grocery store. I got in, checked my rear-view and side mirrors, backed out, checked the mirrors again, and began to back up. My rear-view video display came on and I checked it. I put my car in drive. As I came to a full stop I noticed the brake lights on an old pickup in a parking stall to my left. I had no time to move my vehicle so I laid on the horn and hoped that he would hear and stop before he hit me. The truck backed into me, shoving my car sideways. The other driver moved his car back into the parking space. “Did I do that?” asked the man that got out of the beat-up truck. “Wow, I am sorry. I didn’t see you. It's my fault,” he continued. I did not call the police as I knew that they won’t come to a parking lot accident unless someone is injured. I looked around and didn’t see any witnesses. I got the driver’s name, address, phone number, driver’s license number, insurance company and policy number. I took all the photographs that I needed to prove that he was at fault, we exchanged information and I went on my way. I called the other driver’s insurance company as soon as I got home. I told the insurance adjuster that their insured had hit me in a parking lot and that he had also admitted fault several times. She said that she needed my insurance information before she could process the claim. I was reluctant to give it to her, but decided to give it to her anyway knowing that I was not at fault for the accident. She told me that she wanted to get my statement, and briefly mentioned that she would to record the conversation. Knowing what I know about insurance companies, I recognized this as a trick to get me in an unprepared state of mind to say something damaging about my claim, and to have it recorded to be used against me. I told her that I knew she could not record the conversation without my consent. She told me again that she could not process the claim or determine liability without taking a recorded statement from me. I told her that I had pictures but she never asked me to email them to her. After I finished the statement she told me that she was going to talk to the driver that her company insured and then get back to me. Over the next two days, I received multiple voicemails from the insurance adjuster I had already spoken with. She continued her demands for a recorded statement, which I declined. I said that if she wanted to record a statement from me then I would at least need a copy of the transcript, which she said she could not provide. The insurance company continued with these charades for a few more days before I eventually told the adjuster that I would have to get my husband, attorney Chris Davis, involved if she didn't close the claim and accept that the other driver was 100 percent at fault. She said she would review the claim and get back to me soon. The next day I received a voicemail from her saying that they would accept full responsibility for the parking lot accident and left instructions on how to get my claim processed quickly. Think about it: if this is the way they treated me over a minor fender bender, just imagine how they would treat a person who has been seriously injured in a car accident. Whether it is a small parking lot accident or a major injury collision, insurance companies are in this business for profit and will do whatever it takes to maximize that profit. Insurance adjusters are given bonuses for minimizing payouts to their own policyholders. It's very important to keep a cool head when dealing with an insurance company, as it's much easier to avoid making damaging statements when your emotions are under control. Collect as much information as you can at the accident scene, and remain diligent in your communication with the insurance company to ensure you don't fall victim to their profit-maximizing tricks.